Fighting the undead can be a hell of a job, but what's the saying, "no guts, no glory", or should that be "gory". 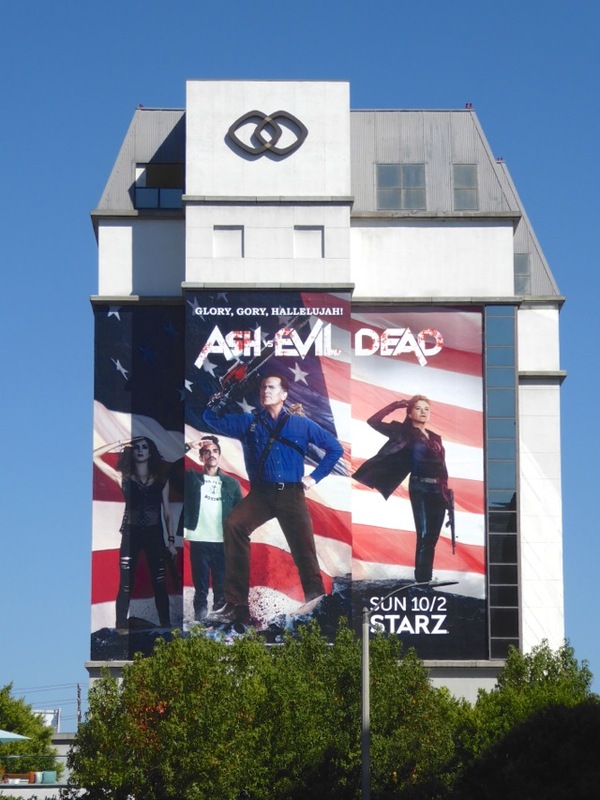 After the film franchise was resurrected on the small screen by Starz last Halloween, Ash vs. 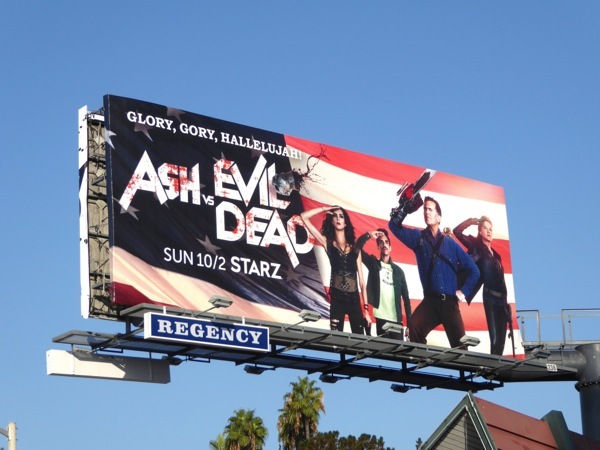 Evil Dead is back for a blood-spattered second season. Bruce Campbell's 'Ash Williams' along with new trusted companions and Deadite dispatchers, 'Kelly' (DeLorenzo) and 'Pablo' (Ray Santiago) are back to help demon raiser, 'Ruby Knowby' (Lucy Lawless) as her demonic children rebel against her. 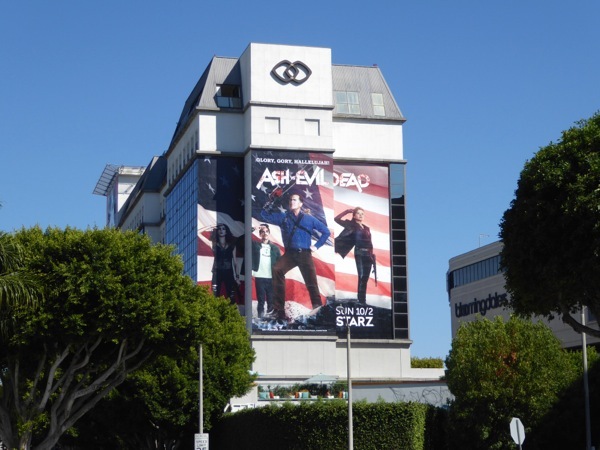 The paranormally undead, the Necronomicon and having a chainsaw for a hand may not be the only problems this season, as Ash also gets to reunite with his father, played by Lee Majors, this time around. 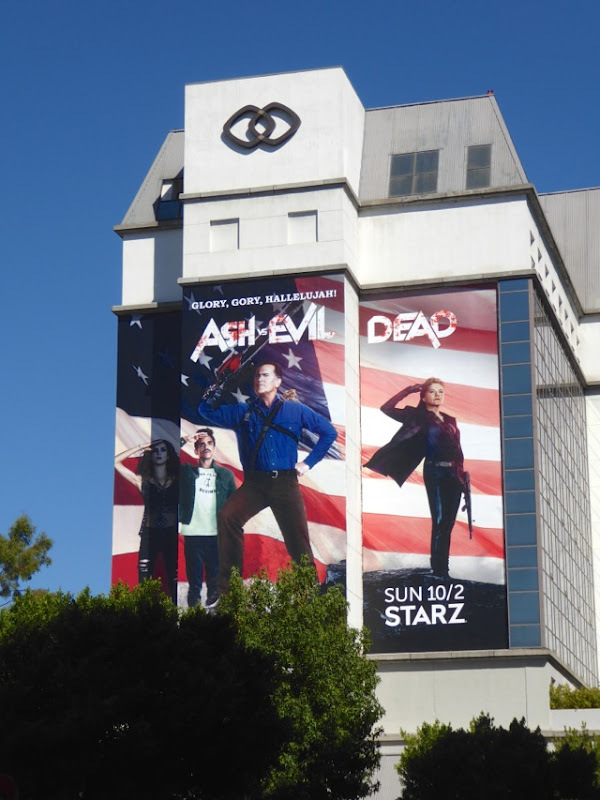 These patriotic sophomore season outdoor ads were snapped above the Sunset Strip on September 7 and along Melrose Avenue on September 16, whilst the giant-sized ad creative was photographed on the side of the Sofitel Hotel along Beverly Boulevard on September 18, 2016. 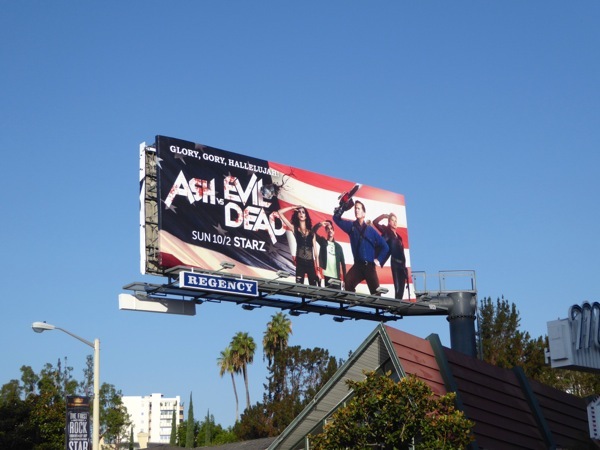 Fans of the comedy horror series can also check out these Ash vs. 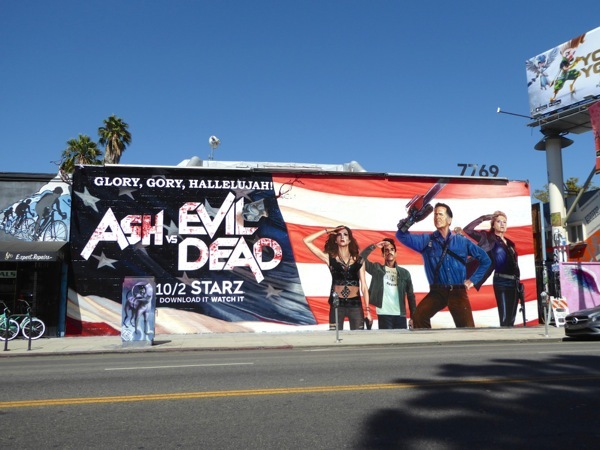 Evil Dead season one and Emmy billboards. 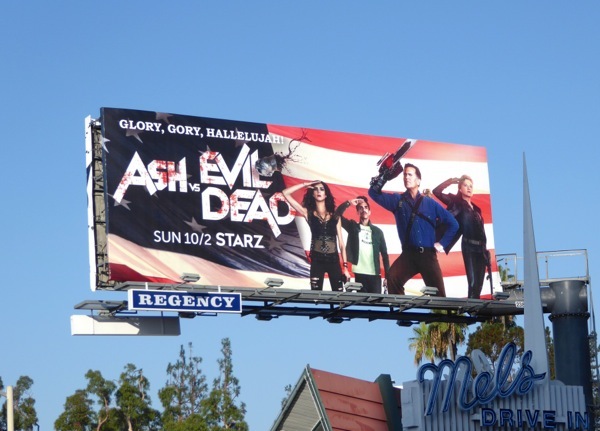 Get ready for more energetic mayhem, horrific comedy and another bloody good time.